← The Cloud of Confusion? This week Apple released the iPhone 5 along with iOS6. So many Americans have reserved and bought their new iPhone and the popularity of the Android smartphone is off the charts. 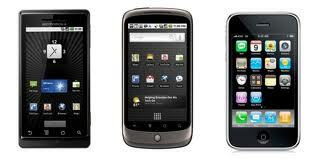 Smartphones have become a staple in personal and business life in the United States. CNN Tech recently reported new research from the Pew Internet and American Life Project that said 45% of cell phone owners say their phone is a smartphone. Smartphones and cloud based workforce management systems are essential even to small companies with less than 10 employees to a large corporations. With Service Proz cloud based software, smartphones are included with service which makes the Service Proz software even more appealing? And we’ll make it even easier for you this fall! Take advantage of Service Proz Fall Special for your home service business! You will get one month free of Service Proz workforce management, cloud based software. The service comes in at a special price of $50 per month for 2 users and 2 field level users and $99 per month for 5 users and 5 field level users. You will have the ability to easily track your customer needs and direct your technicians to the exact task needed to be performed, you will reduce fuel costs and “lost” technicians on the road along with speeding up customer billing and payments. With all your extra time, you can be focusing on growing your client base while your employees streamline their daily duties. Contact Service Proz today to take advantage of our Fall Special and start growing your business! Posted on September 25, 2012, in Service Proz News and tagged cloud, fall special, service proz, smartphone, workforce management. Bookmark the permalink. Leave a comment.